Have you ever tried to talk to a Hispanic/Latino-American in an effort to lead them to Christ without success? Did a friendship become strained when traditional methods of evangelism failed to open communication? Did you have a difficult time understanding their needs? Who is Your Neighbor equips believers with the tools they need to reach Hispanics/Latinos for Christ. 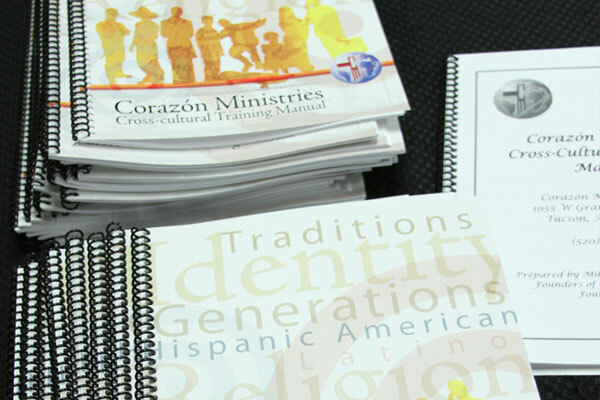 This training provides fundamental insight into ministry among Hispanic/Latino communities. It teaches both Hispanic/Latino and non-Hispanic/Latino Christians to be culturally sensitive, overcome barriers, and understand the numerous generations of Hispanic-Americans living in the United States. We encourage individuals, church groups, and ministries to attend Who is Your Neighbor. Over the years, Corazón has trained hundreds of ministry and missions-minded believers to equip them for cross-cultural work. The training is a one-day workshop and is offered in both English and Spanish. If you are interested in attending Who is Your Neighbor, or hosting our training at your church or ministry, please call 520-903-9608.